you know what’s more toxic than our ‘new wave of feminism’? Mira Rajput's good old wave of ignorance. Mira Rajput says that her daughter is not a puppy that she would leave home and go to work. Mira Rajput will be the first non-celebrity guest to appear on Koffee with Karan. The 100th episode will see Salman, Arbaaz and Sohail Khan come together. Bollywood celebrities including Anushka Sharma, Farah Khan and Ajay Devgn have congratulated Shahid Kapoor and Mira Rajput, who welcomed a daughter. 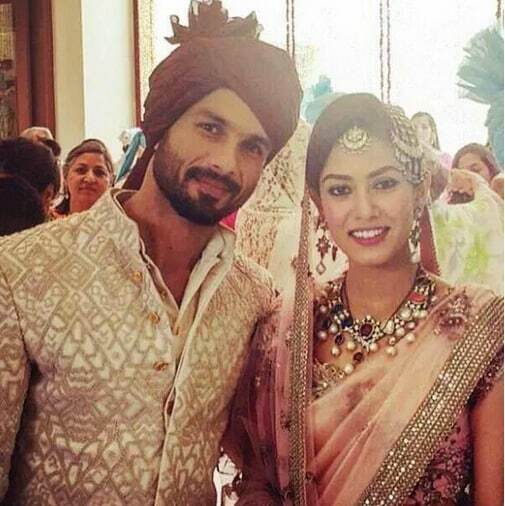 From updates about their wedding to blurry images about of the bride and groom, if you're a Shahid Kapoor fan, or even mildly interested in the wedding, social media has you covered.